A prickly pear cactus submersed in a stand of red brome (Bromus rubens) and cheatgrass (Bromus tectorum). ​Invasive annual grasses have profound effects on the Mojave Desert. Red brome (Bromus rubens) and Mediterranean grass (Schismus barbatos), threaten native Mojave Desert ecosystems by dramatically increasing biofuels capable of spreading wildfire, and by competing with native vegetation foraged by wildlife such as the desert tortoise (Gopherus agassizii). Working with the Bureau of Land Management, we are studying the effects of herbicide rehabilitation treatments in areas infested with these invasive annuals. Our research will address interactions between these invasive grasses and effects on native grass and forb density and diversity. We will also investigate whether or not invasive annual plants create sand dune stabilization, and if so, if this affects sensitive sand dependent species such as the edaphic white-margined penstemon (Penstemon albomarginatus). White-margined penstemon (Penstemon albomarginatus), endemic to Mojave desert sand dunes. 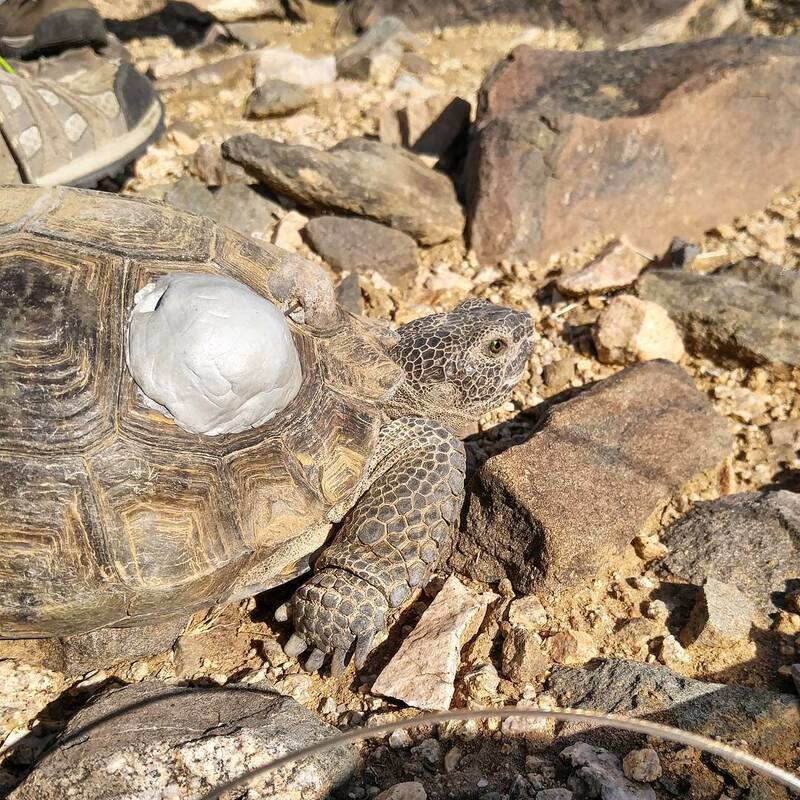 A desert tortoise (Gopherus agassizii) participant in a desert tortoise monitoring program. 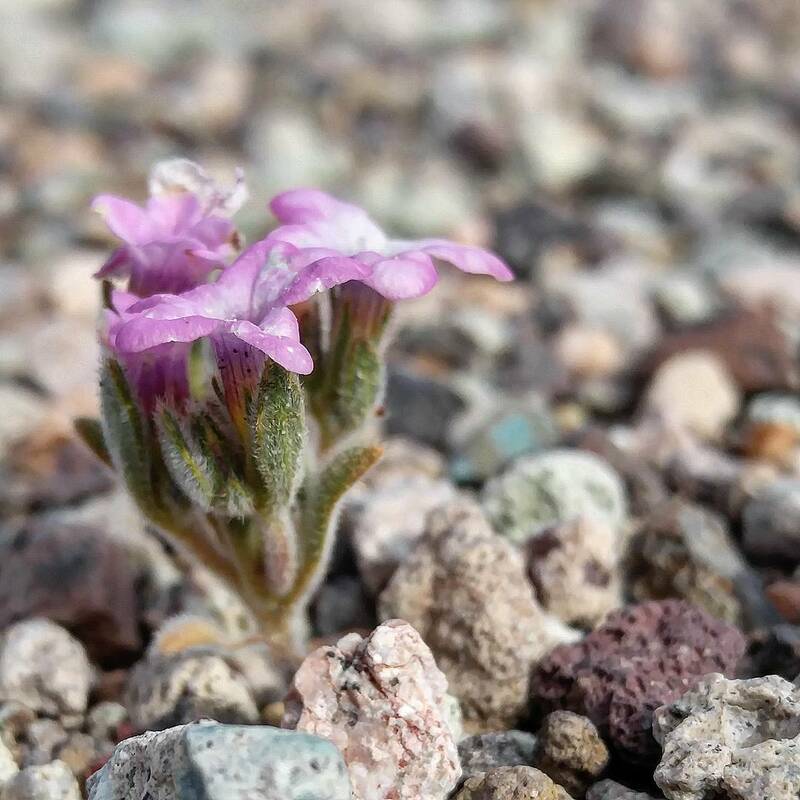 Purplemat (Nama demissum), an endemic to the Mojave desert.